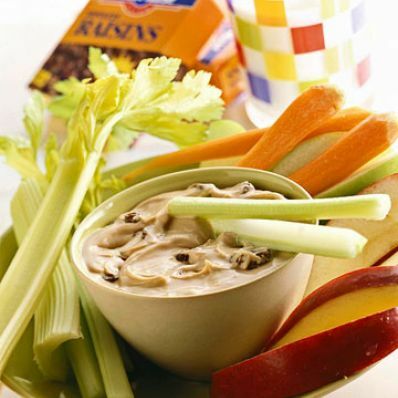 Kids love fruits and vegetables when they eat them with this yummy fat-free dip. 1 of 2 Place cream cheese and milk in food processor or blender. Pulse until creamy; do not overbeat. Add brown sugar and pumpkin pie spice. Whirl until blended. 2 of 2 Remove mixture to small bowl; stir in raisins. 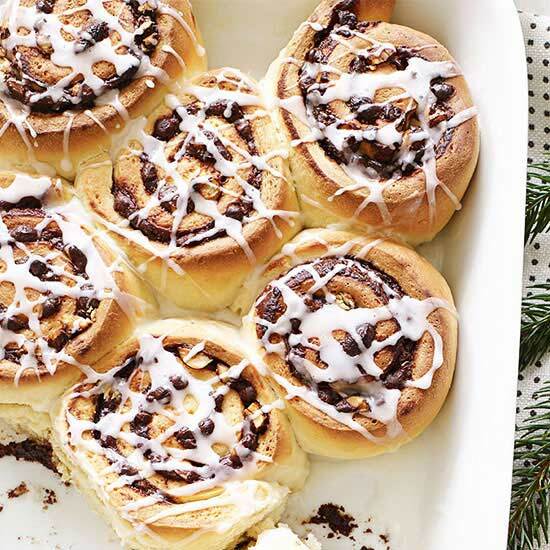 Serve with dippers. Refrigerate unused portion of dip.